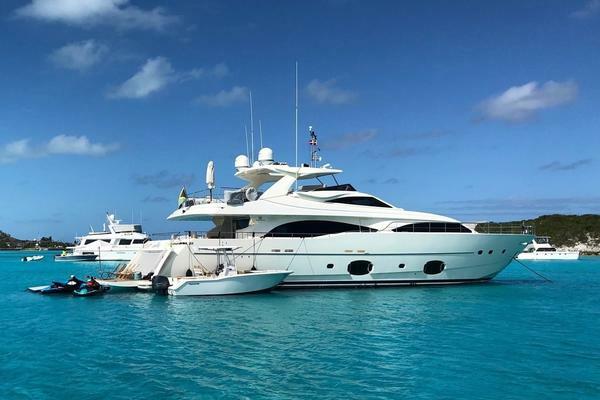 United Yacht Sales New Jersey would love to guide you through a personal showing of this 98' Cooper Queenship Queenship 1993. 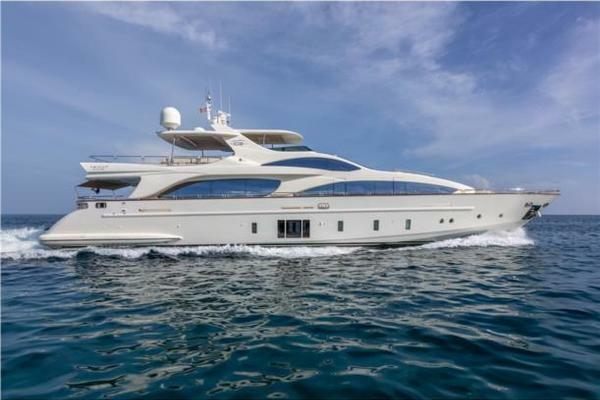 This yacht for sale is located in Mandeville, Louisiana and priced at $2,495,000. For a showing please contact us by filling out the form on this page and we will get back to you shortly! Salon: The salon furnishing were designed and built by Morse & Associates and include (2) chairs, fringed ottoman, sofa, end and coffee tables. Dining: Forward of the salon in the dining area with a certified 1812 Duncan Fife table that expands to accommodate eight with coordinating Baker chairs, finished with leather seats. A built-in buffet with granite top, and custom china and crystal built-in storage cabinetry fulfill the needs of formal dining. Galley: The galley is forward of the dining area and sound insulated with direct access from both sides decks for easy crew accessibility and loading ship’s stores. Cabinets are brushed stainless inside/out with maple trim and concealed hinges. Counter top is 1 3/4” laminated maple. The floor is urethane tongue-in-groove maple. This galley offers a very professional atmosphere and a ver solid feel. (2) Outback inverter/chargers energy model MS4024 inverter/chargers, 24 VDC input, 120 VAC output, 8,000 watt. Air Conditioning: AKU AKU is served by marine grade air condition system. Systems are a chilled water system with condensing units in engine compartment and air handlers in areas they service. HEATERS:110VAC wall mount space heaters various location, Auxiliary heating with separate thermostat controls serving all accommodation spaces.